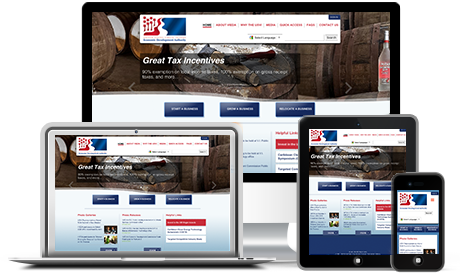 Do you need a highly visible interactive website that allows your customers to engage and share information? We design and build custom data driven websites with search engine optimized content. We use open source content management systems like WordPress and Drupal that allow our customers to easily manage their content. Do you want to always be at the forefront of your customers’ minds by providing them constant access? We build custom mobile apps for Apple iPhone, iPad, and iPod touch devices and Android phones with real-time updated content. Mobile apps allow you to reach customers almost anytime, anywhere. Do you need an Internet marketing campaign that exposes your business and services? We tailor campaigns to fit the needs of each client by using targeted lead generation strategies combined with time-tested online marketing techniques. We will guide you through the world of social media, email marketing, search engine optimization and analytics. We provide sleek and responsive website and app development for multiple platforms. iOS and Android platforms are used to power our apps, while WordPress and Drupal are used to anchor our websites. Our Internet marketing strategies utilize select social media and search platforms based on our clients and the customers they target. Our service offerings are on par with average market prices. The prices we offer are fixed, but we will work to offer what we can within budgetary constraints. We specialize in customer focused design for web applications, mobile applications, and Internet marketing. We make sure your customers see you, engage with you, and express their satisfaction. © 2012-2017 CrucianPoint, LLC. All Rights Reserved.